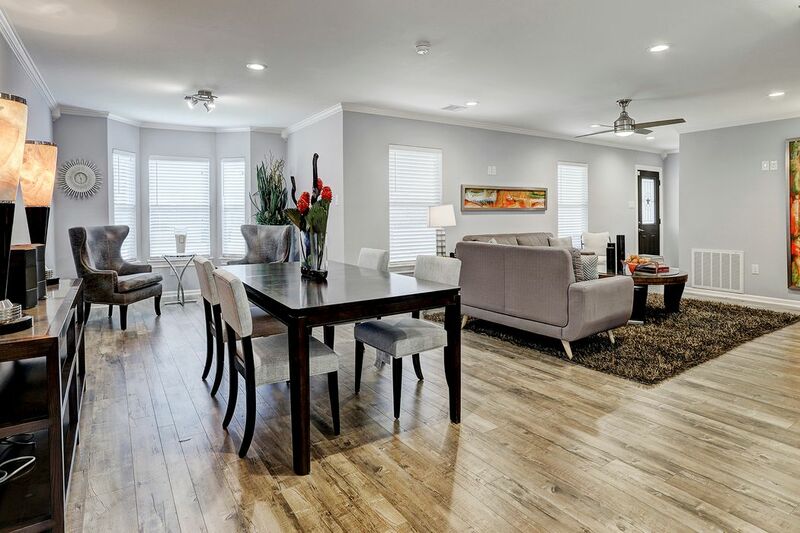 718 West 30th Street, Houston, TX 77018 | Martha Turner Sotheby's International Realty, Inc.
Wood floors in the light, open living room/lounge area. Shutter blinds throughout. Fourth bedroom/office with full en suite bathroom. 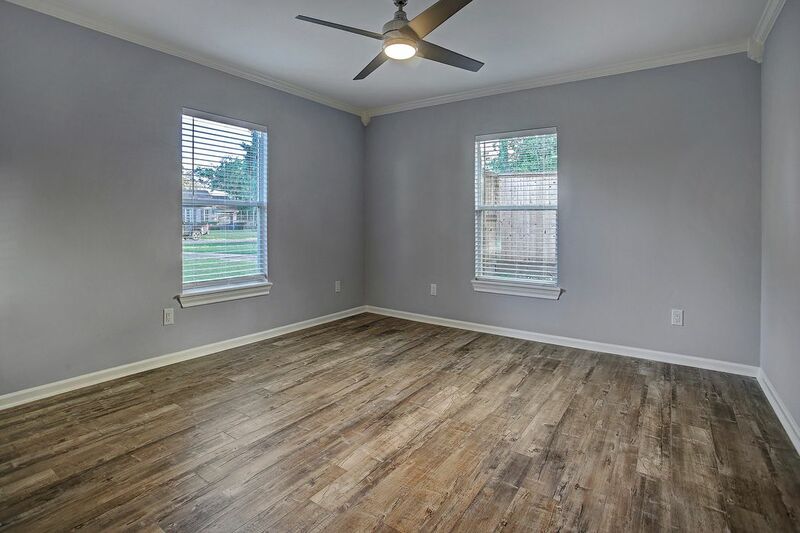 Wood floors, overhead fan and elegant double French door entrance. 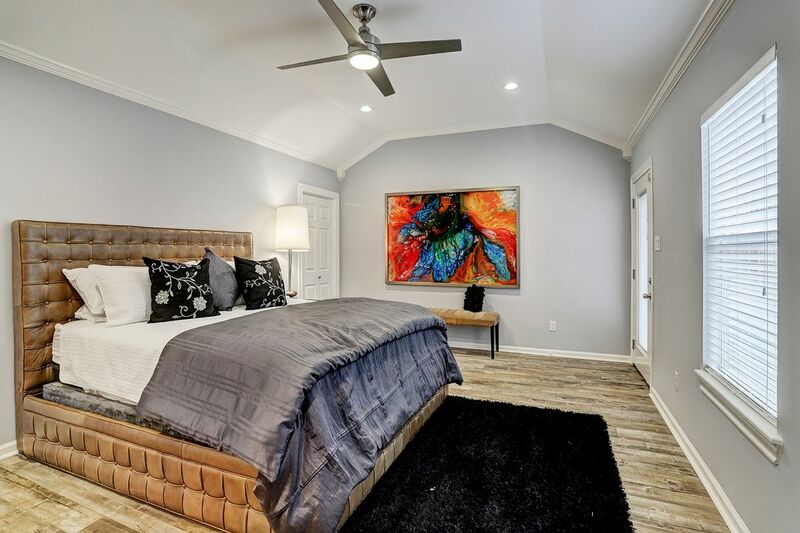 Master bedroom with vaulted ceiling. 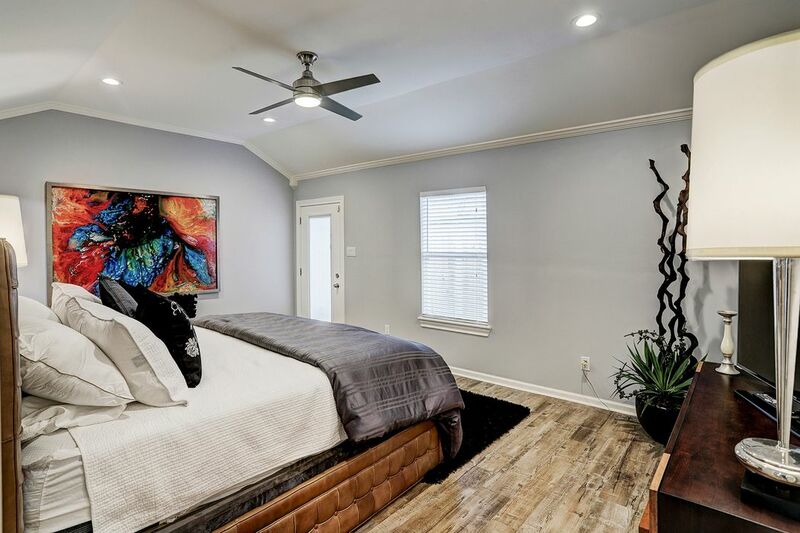 Ceiling fan with remote control unit. 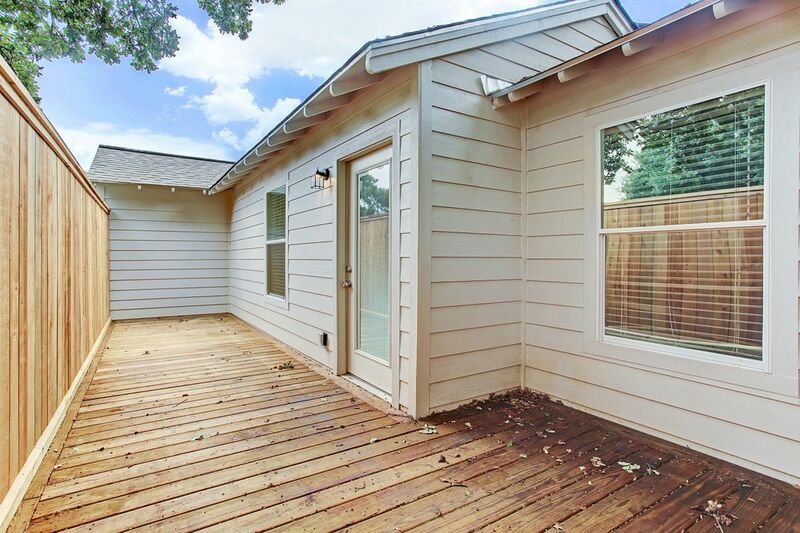 Private, secluded patio area to right of bedroom. 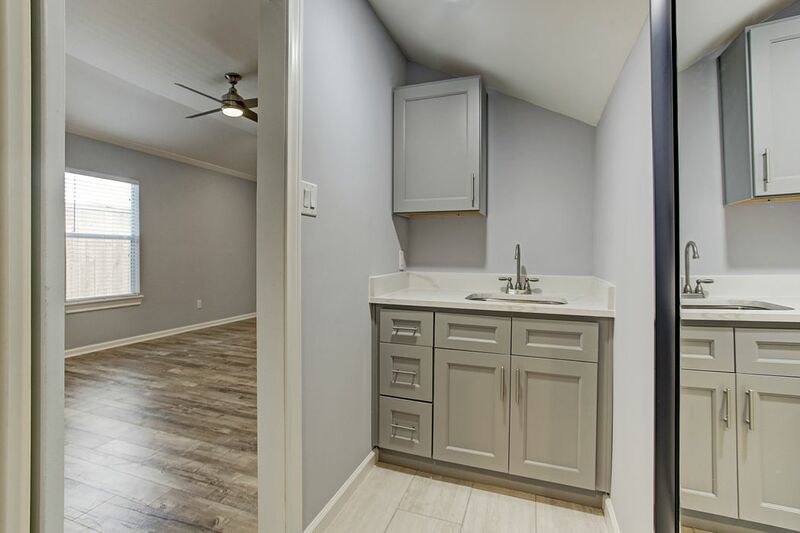 Personal wet bar area with sink and drawers off master bedroom to left. 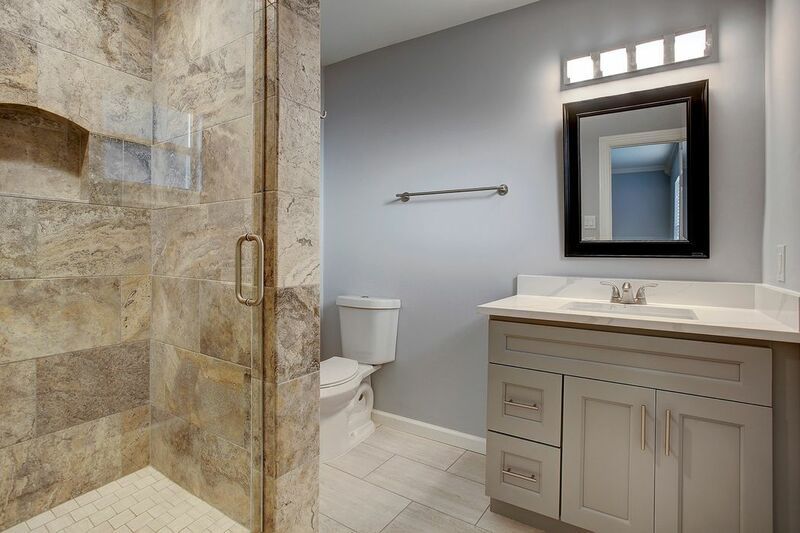 Beautiful master bathroom with freestanding tub, double vanity, large separate shower, tiled floor. Bluetooth speaker installed. 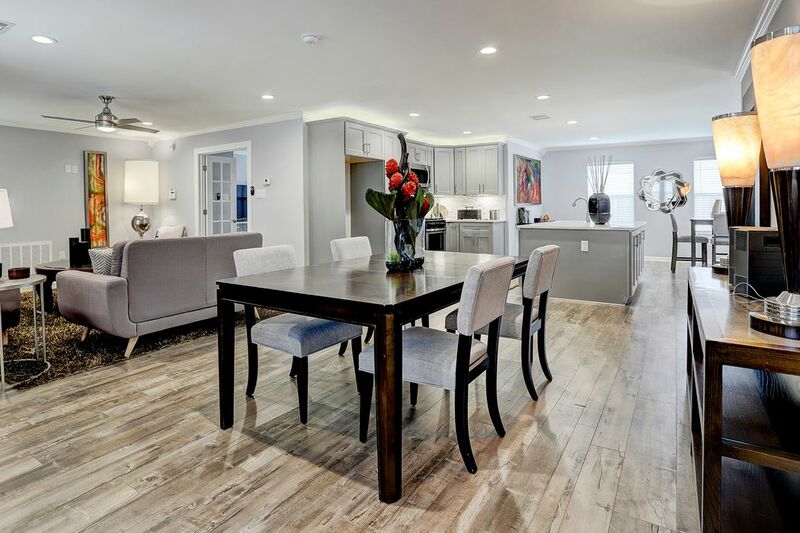 Charm and character in this fully renovated home. Large private, shaded garden area perfect for kids to play in safety. Plenty of room for a pool. 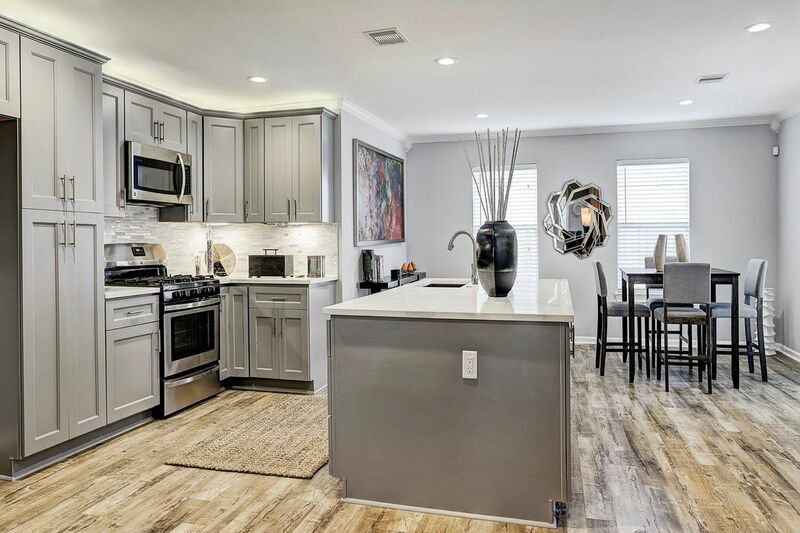 Beautiful kitchen with wood floors, stainless steel appliances, gas stove top and electric oven. Spacious breakfast area leads onto outdoor patio. Ideal for entertaining or outdoor barbecuing.Quartz counter tops, double sink, touch-activated faucet. 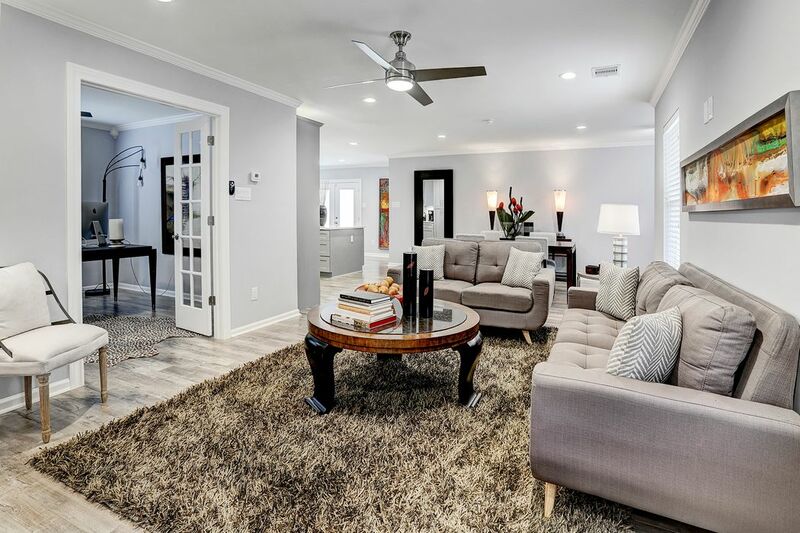 Welcome guests into your spacious living room with views to the large front yard. Private patio area off the master bedroom suite. 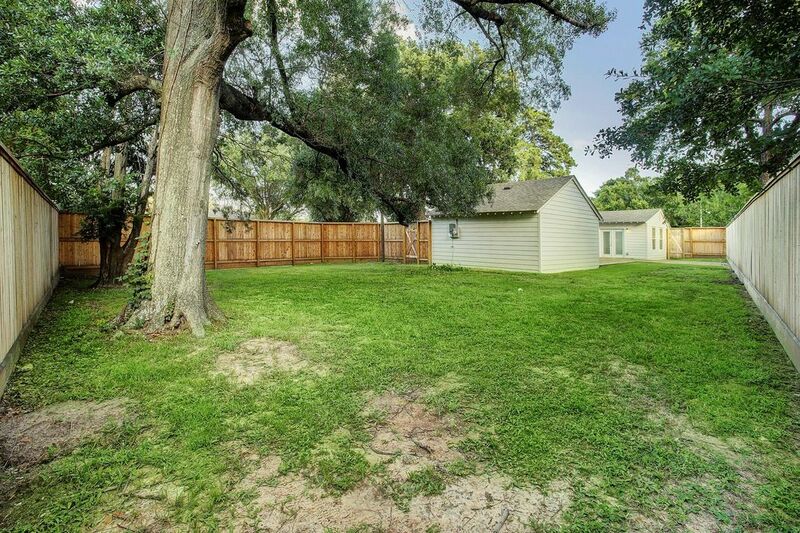 Your own retreat with 7ft fence for enhanced privacy. 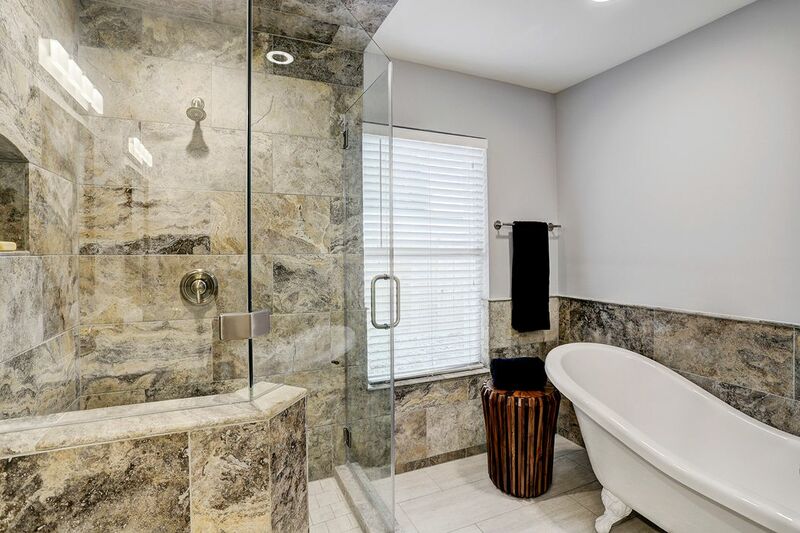 Soak in luxury while listening to your favorite music in clawed bathtub in master utilizing installed Bluetooth speaker. 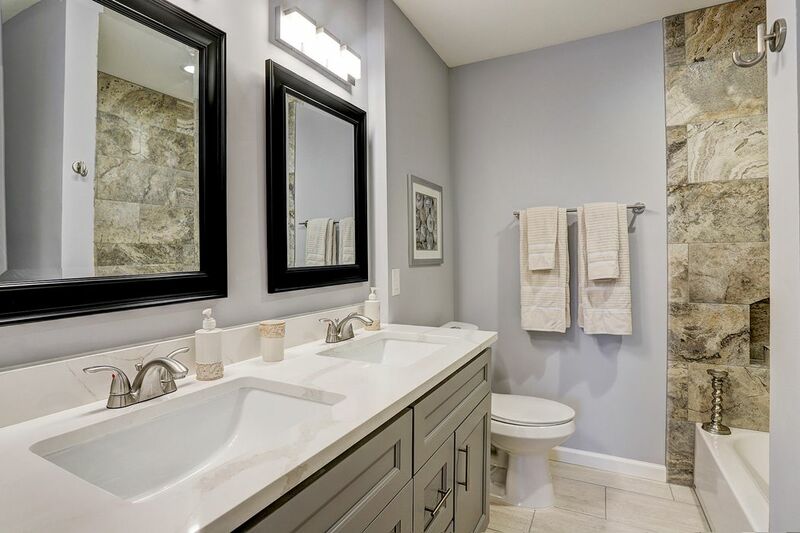 Private, wet bar area with sink and drawers adjacent to master bedroom and master bathroom. 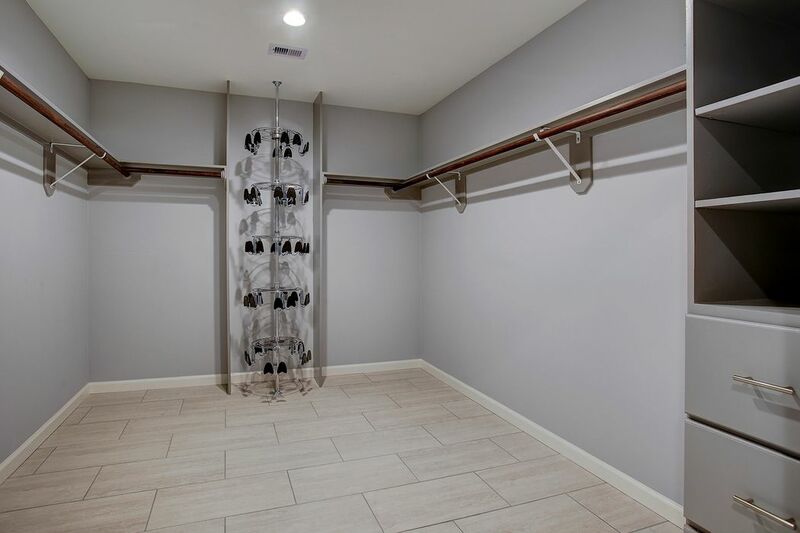 Huge master closet with shoe tree and built in cabinets. Full bathroom en suite for 4th bedroom/office area. Tiled, glass shower door, stunning shower tiles. 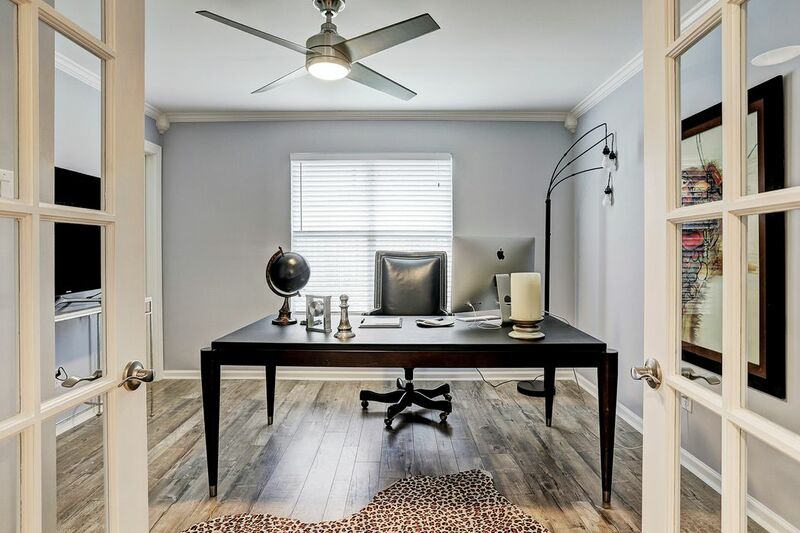 Large second and third bedrooms with built-in closets, wood floors, overhead fans and blinds. Plenty of natural light. 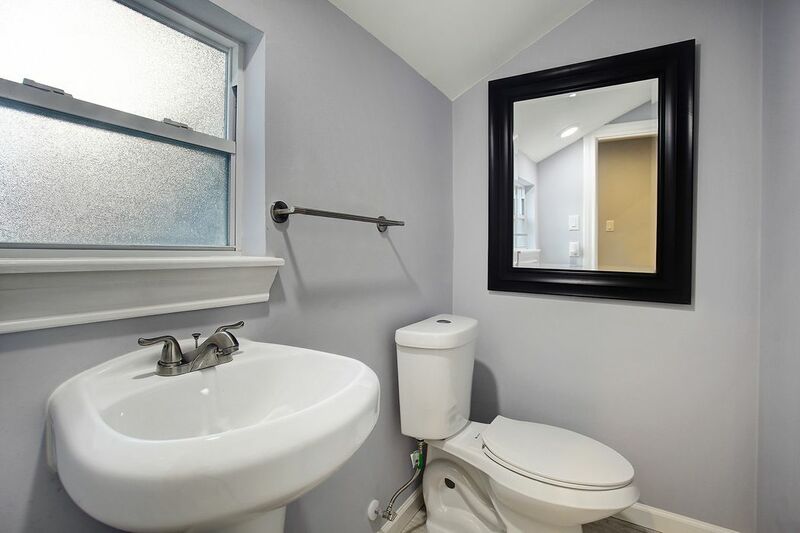 Full bathroom for bedrooms 2 and 3. 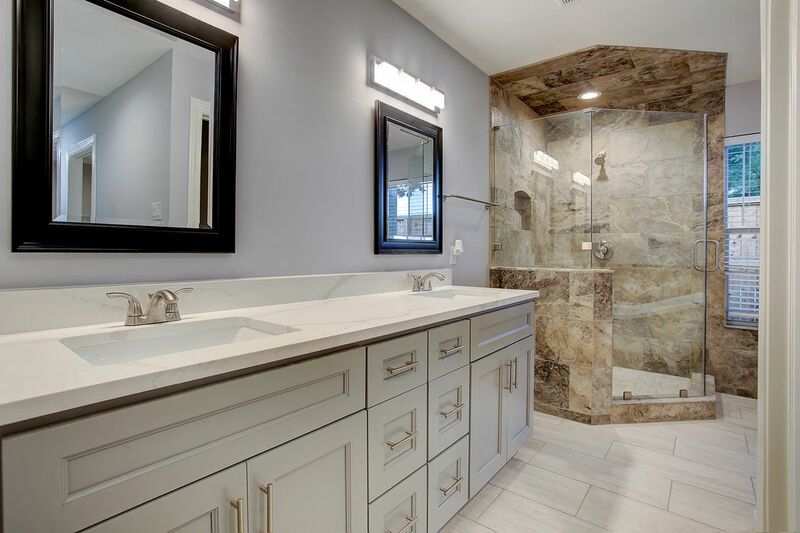 Double vanity, double mirrors, bath and separate shower. 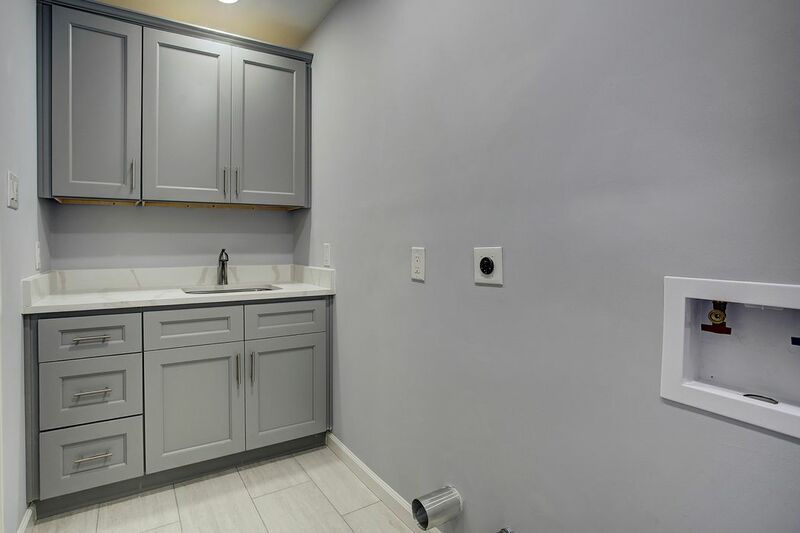 Full laundry with sink. Gas and electrical plumbing. Well lit with LED lighting. 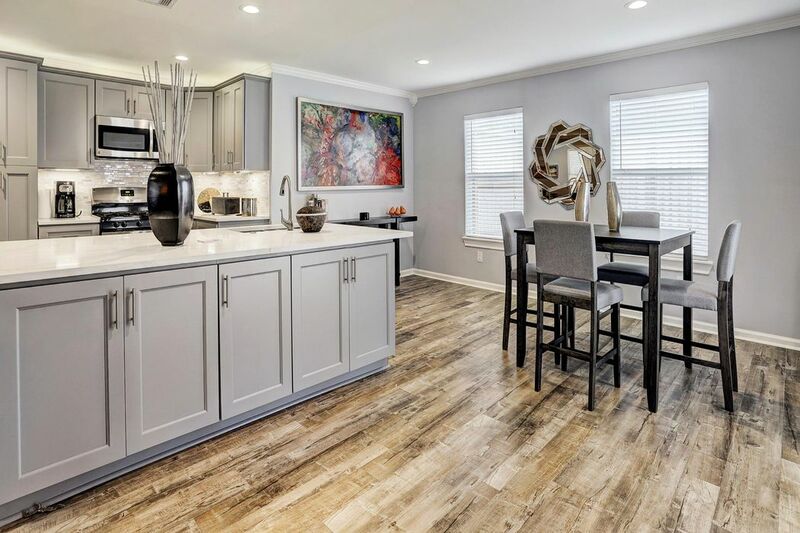 Large, well lit, half bath located off main living area. 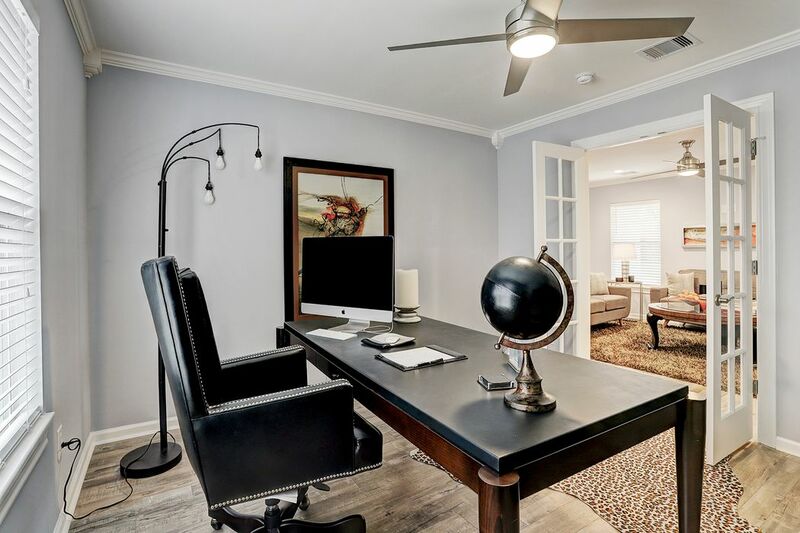 $679,000 4 Bedrooms3 Full / 1 Partial Baths2,456 sq. ft. 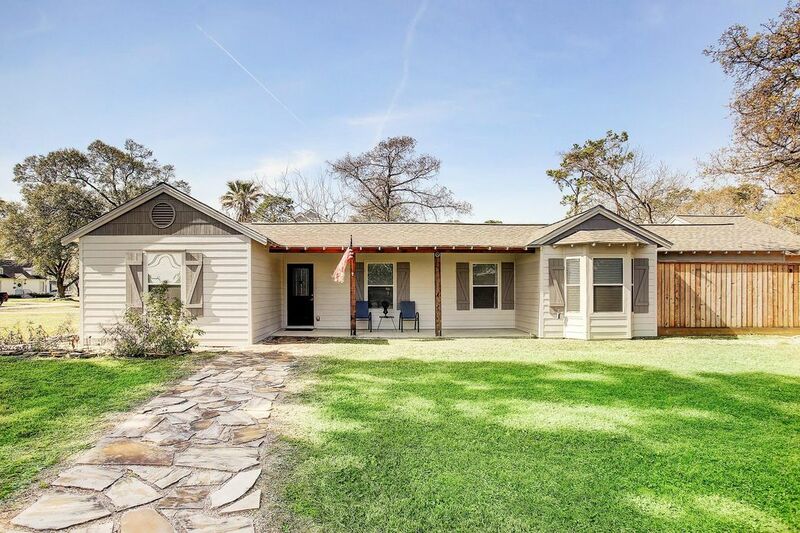 Beautifully renovated classic Houston ranch home that has never flooded. Totally new plumbing, electrical, sheet rock, and insulation. 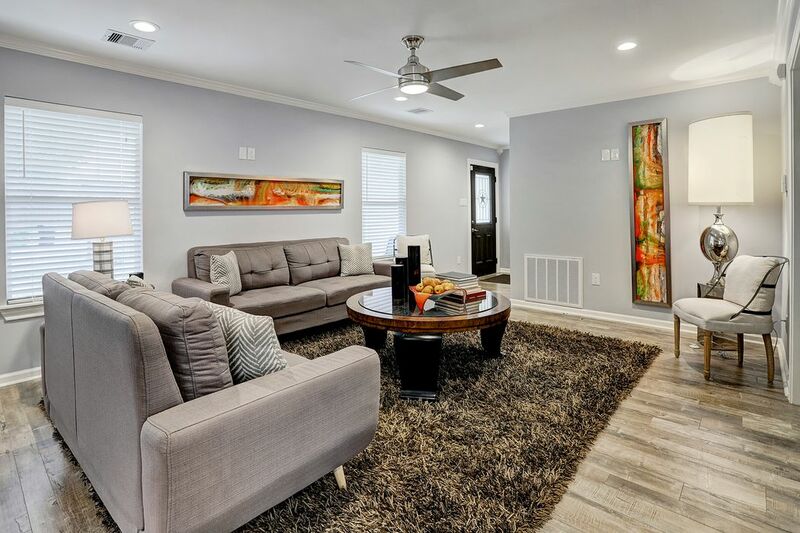 Brand new high efficiency HVAC and all new appliances and cabinetry. 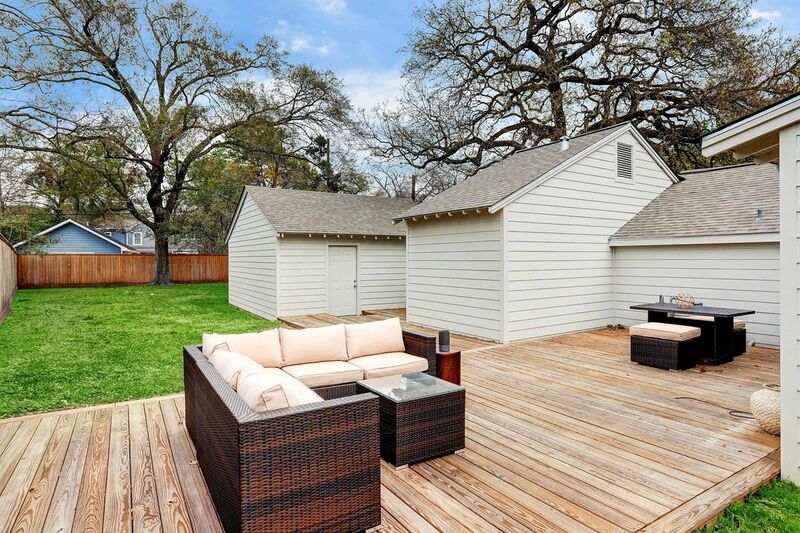 New 7' cedar fencing encloses the giant backyard and the treated exterior deck and private patio off master bedroom. 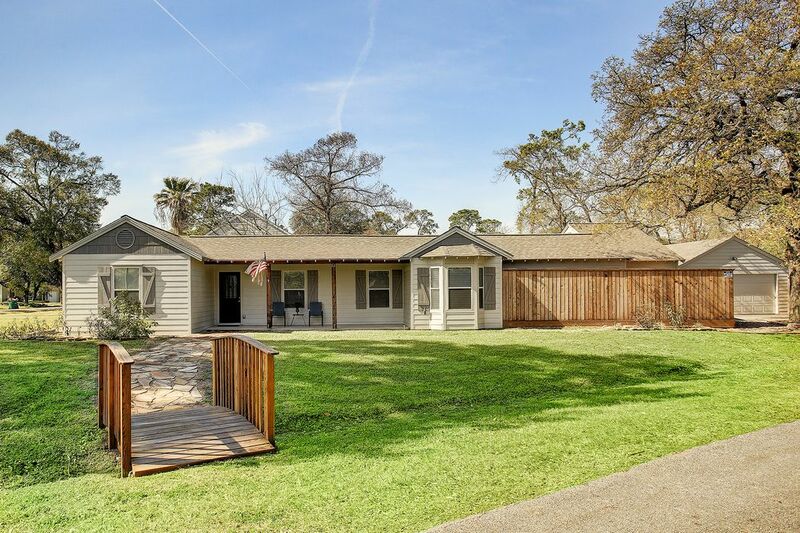 This lovely home sits on almost 1/2 an acre and the end of a cul-de-sac.